First created to help prevent structural contamination during Hurricane Katrina, Nisus DSV disinfects and sanitizes surfaces that are contaminated by pathogens in flood waters. It is labeled to kill 34 strains of bacteria and 21 viruses. This all-in-one solution is a powerful disinfectant that is highly effective against disease-causing bacteria. But it’s also a sanitizer that can rid an area of germs, bacteria and viruses that can cause sickness. 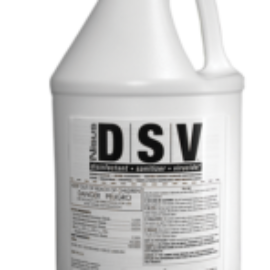 DSV will also kill mold on hard surfaces but is not recommended for mold on wood. © 2016 Nisus Corporation | All rights reserved.